Today’s mid-week serving of new music cocktails features fresh springtime offerings. 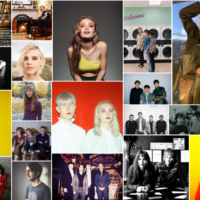 Spring is officially here, and with it comes a wealth of great tunes from artists with debut albums due out soon. These singles are by artists from Canada, Denmark, England, Germany, USA, and two from Sweden. So sit back and enjoy the gems in this 24-minute playlist. Let’s get things started with an indie legend before we dive into the rest. 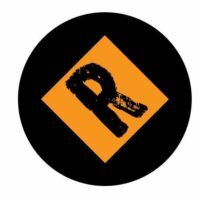 While this site usually features emerging artists, we still love when indie titans release new music. Such is the case of former Sonic Youth frontman Thurston Moore, who this week shared a powerful single via Caroline International. 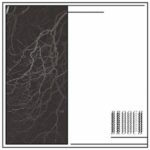 “Cease Fire” is the first we’ve heard from him in a while (his last album was the 2014 LP, The Best Day), so we welcomed this new material. The new single also comes with details about a full tour of North America and Europe, a treat for fans’ longtime patience. But it’s not in Moore’s nature to stay silent for long, especially about things that matter most to him. “Cease Fire” is a blatant anti-gun track that calls for people to choose love over weapons. 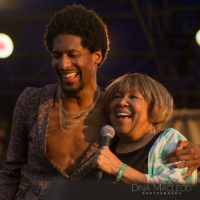 Moore explains the single is “about the power of love, in all its freedom of choice. A power that no gun can extinguish as love will rule always. 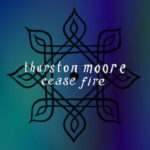 Melt down your guns and kiss your neighbor.” Clocking in at just over six minutes, the furious guitar work and driving percussion on “Cease Fire” prove that Thurston Moore is at the top of his game. When the Thurston Moore Group hits the road in May, Moore will be joined by Steve Shelley (Sonic Youth, Sun Kil Moon), Deb Googe (My Bloody Valentine, Primal Scream), and James Sedwards (Nought, Chrome Hoof). You can download this single free at his website. There is nothing muddled on this song. Its gentle vibe evokes the solitude of a chilly morning when you wake, alone with your thoughts. Then over the next three minutes, it offers as much warm comfort as your first cup of coffee. Savor this one slowly for best effect. You can pre-order it on digital or vinyl from the label or the group’s Bandcamp site. 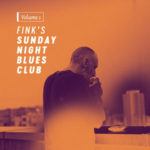 Modern blues may not be the top genre in music these days, but that hasn’t stopped Fink from making some of the most smoldering tunes since Muddy Waters got his mojo workin’ some 60 years ago. You have probably heard their music, even if you didn’t know their name. 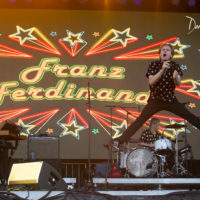 Fink’s songs are frequently featured in major TV shows, though in an earlier chapter of his life, frontman Fin Greenall was an electronic music DJ and songwriter. Having written for Amy Winehouse and John Legend, his broad base of experience comes from all sides of the music world. 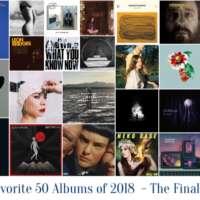 Now after more than a decade together (Fink’s debut album released in 2006), they’re still the hardest-working band you haven’t fully discovered. But it’s never too late to hop on board. “Hour Golden” hits you immediately with its soul-stirring vibe. You’ll be singing along to the “so good” refrain and bobbing your head along to the lonesome harmonica. This song begs to be played loud and repeatedly. Don’t be surprised if this song finds its way onto an episode of The Walking Dead as other Fink songs have been in the past. Until then, you can find this single on their newest release, Fink’s Sunday Night Blues Club, Vol. 1. It’s out now via their R’COUP’D imprint on Ninja Tune (EU). You can purchase it directly from the band’s website. Fink are: Fin Greenall (vocals, guitar), Guy Whittaker (bass), and Tim Thornton (guitar, drums). Be prepared to yell “Oh hell yes!” from the very first notes. This song packs a wallop of a punch. Layers of snarling guitars will have your fist pumping in the air while the full-throttle percussion will quicken your pulse. The song’s spacious, dusty soundscape echoes other alt-psych rockers (like Black Mountain, Desert Mountain Tribe, and Psyence) at times, but Weirds have a powerful and unique sound all their own. After a dozen repeated spins, this song shows no signs of ever becoming tiresome. You can only imagine how that energy must manifest itself in a live setting. Hopefully these guys will be booked for every major festival as soon as possible. This is one hell of a smashing debut from a band poised to take the world by storm. 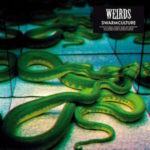 Swarmculture is due May 12 from Alcopop! Records, but this single is out now on iTunes. Weirds are: Aidan Razzall, Matthew Vaughn, Zachary Thomas, and David Nash. March is a magical month for Swedish indie psychedelic dream-pop purveyors Melby. This time last year we fell in love with their stunning debut single (“Human”), and exactly 12 months later we find ourselves desperately searching for more appropriate terms to describe their newest single, “Cross.” Stunning still fits, though we now add captivating and enthralling to that list. 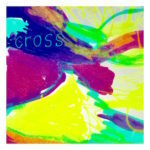 “Cross” is a kaleidoscopic gem that seems to change hues as you listen. At first it’s a swirling wash of deep turquoise as the warm bass line draws you in closer. Then the tones get even warmer when vocalist Matilda Wiezell begins to sing. Both her honeyed vocals and her synths have a sun-kissed quality that add golden radiance. Throughout the song’s three-plus minutes, you’ll feel like you’ve been transported inside a rainbow only to emerge in a state of bliss. It’s a relaxing, psychedelic dream pop trip that you simply cannot take often enough. We’re excited to hear what else Melby have in store on their self-titled debut EP. It’s due in May from Rama Lama Records. Melby are: Matilda Wiezell (vocals, synth), Are Engen Steinsholm (guitar), David Jehrlander (bass), and Teo Jernkvist (drums). 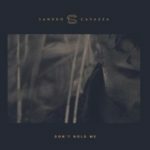 There’s an emerging name in Scandinavian music you should know: Sandro Cavazza, the smooth-voiced Swedish singer-songwriter whose music is hot enough to melt glaciers. Like many of his soulful contemporaries (Juníus Meyvant and Hozier, to name but two), Cavazza adds an intimate spin on ballads that draw you in and keep you spellbound. His debut single (“What It Feels Like”) has been out a scant two months, and he’s already upping the ante with this newest track. “Don’t Hold Me” is at once emotional and melancholy, full of haunting, Bon Iver-esque atmospheric brooding. This ode to dealing with heartache is sure to stir up bittersweet memories for anyone who’s ever had to sever ties with a loved one. His soaring vocals will bring a tear to your eye. The beauty of the song (beyond its gorgeous melody) is that it’s not over-produced. While some producers may have opted to stretch the song beyond its just-shy-of-three-minutes length, its brevity only enforces its message: when it’s time to let go, don’t keep holding on. Sometimes it’s better to keep things brief, no matter how much you wish they could continue. Cavazza plans to release his debut album next month. You can get this single now on iTunes via Universal Music’s Ineffable Music Group label.